Enhance the wardrobe collection of your girl by adding this dress from the house of Beebay. It features a printed pattern that adds to its look, while the round neck and the full sleeves elevate its overall design. Besides, it has been tailored with a supreme quality fabric, which makes it easy to maintain. 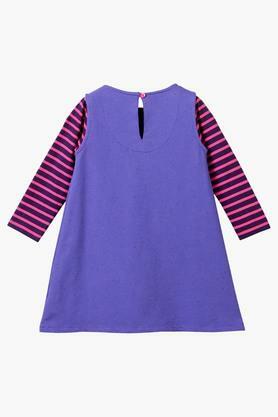 An excellent choice for any casual occasion, this round neck dress will lend your girl a charming look. 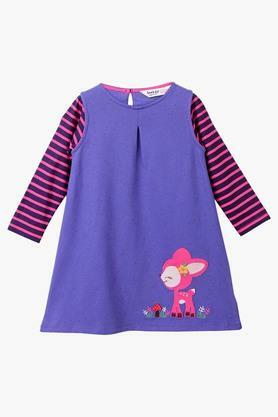 It features an applique detailing at the front, which enhances its appeal.